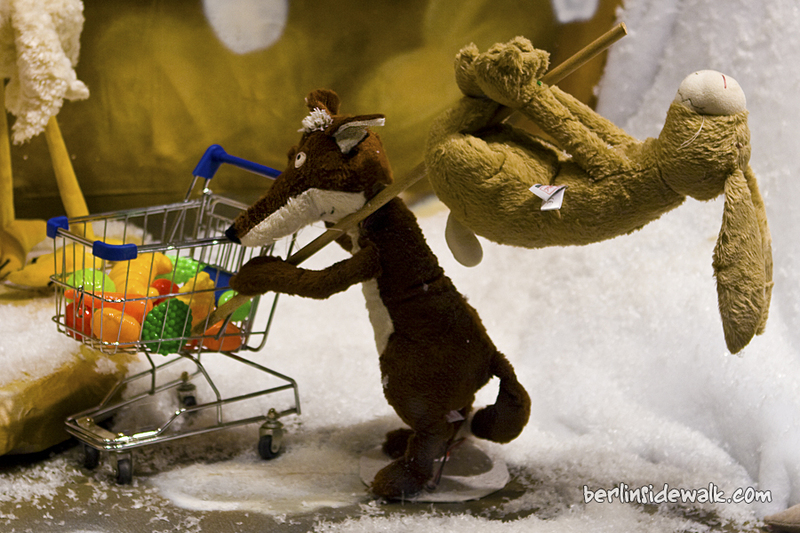 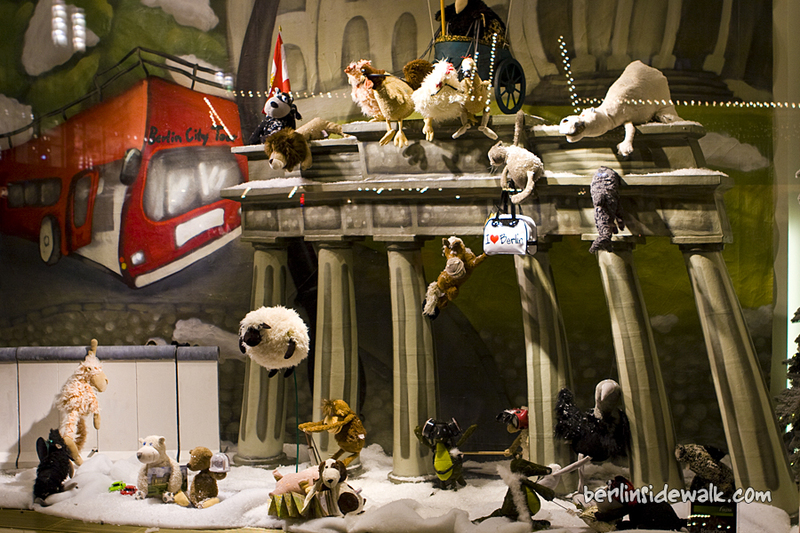 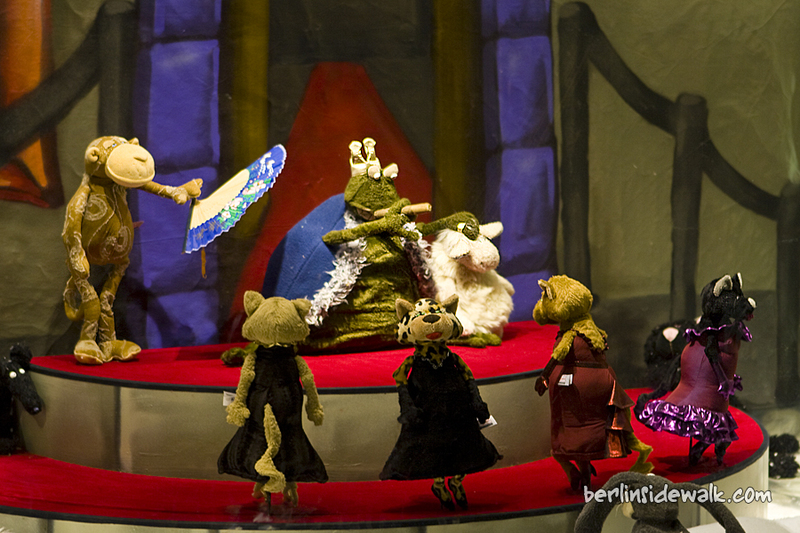 The Story of the Fall of the Wall, the Berlinale and the Friedrichstadtpalast, told by little animals. 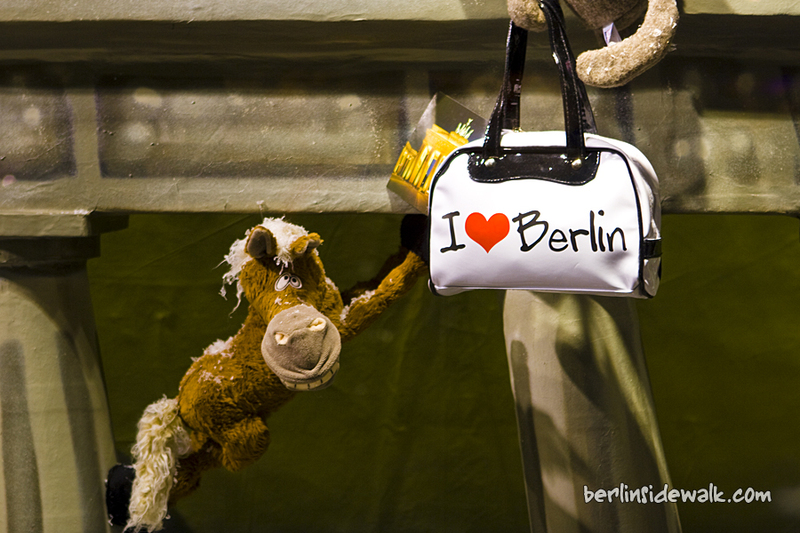 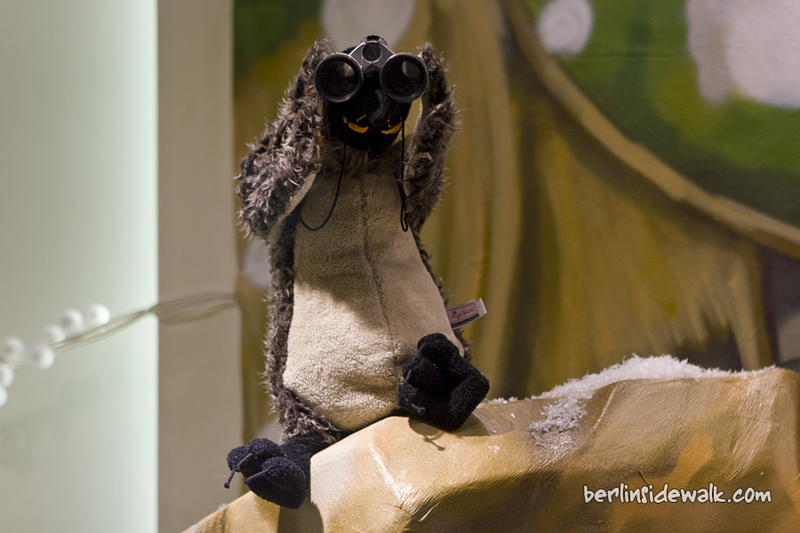 That’s what you can see if you visit the Galeria Kaufhof near Berlin’s Alexanderplatz. 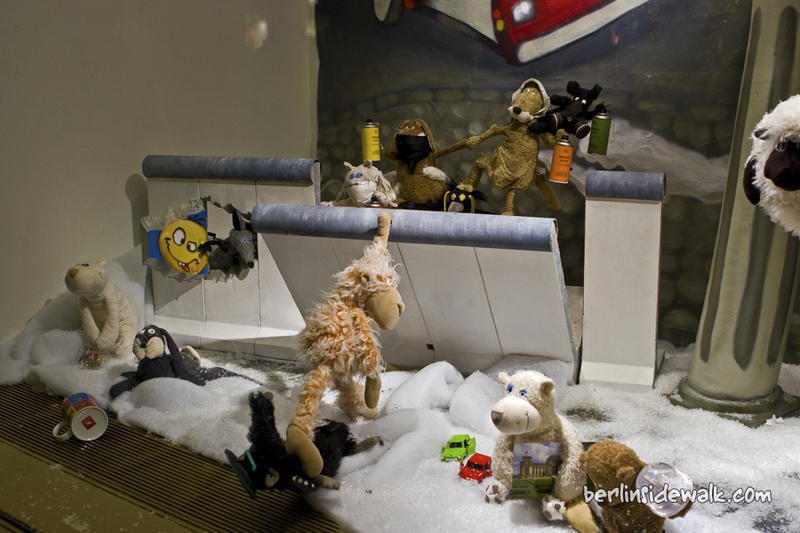 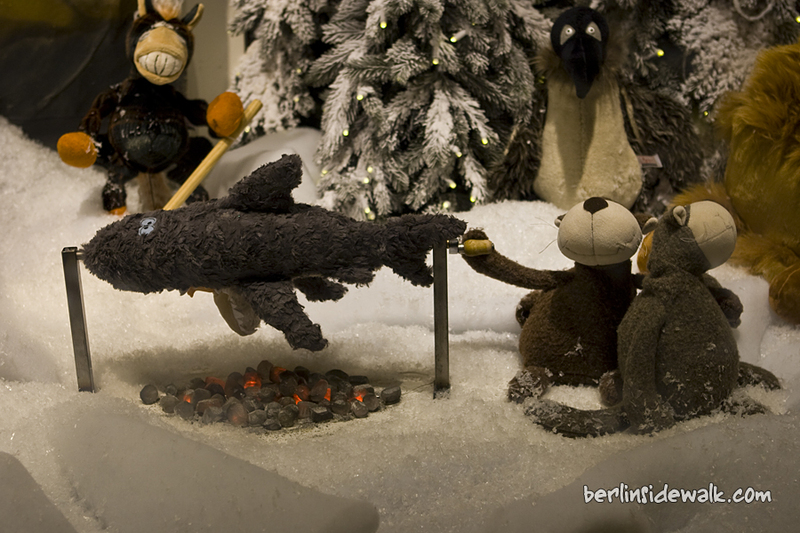 Four shop windows were decorated with a really plushy Christmas decoration. 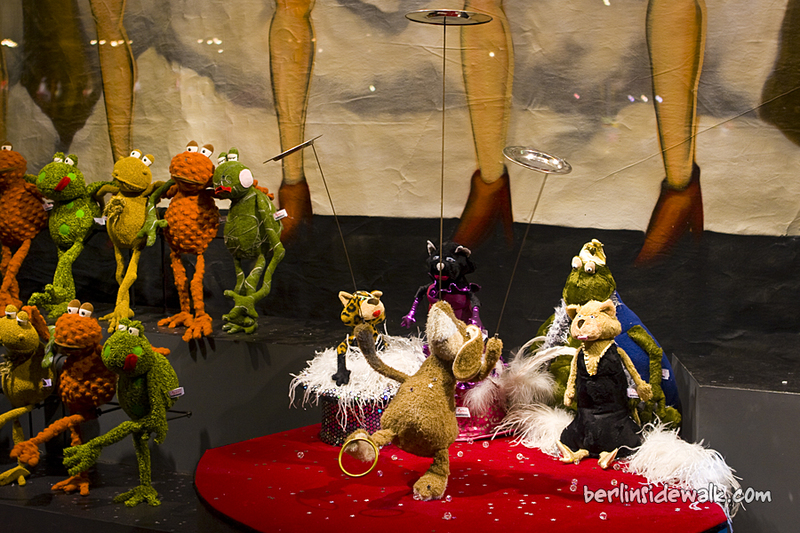 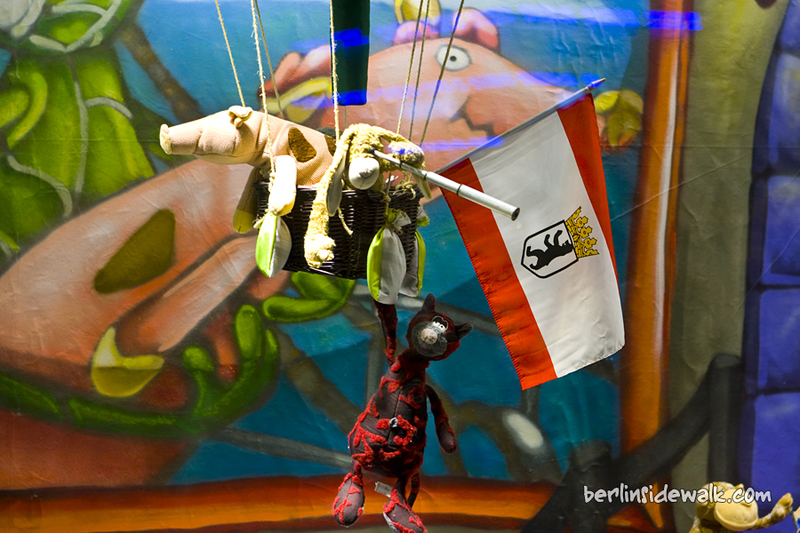 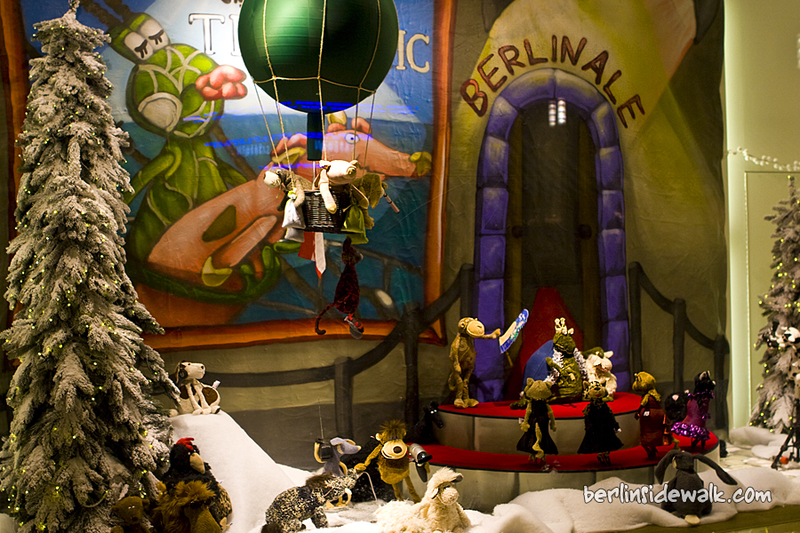 Ten month were necessary to create, place and animate every single puppet, the senior decorator himself had the idea.